The UNICEF/UNFPA Multiple Indicator Cluster Survey breaks down the prevalence of FGM in Oyo State on the basis on local government areas. The Ending FGM though last Mile reach was designed based on this information. Informal findings in Ogbomosho and in Awee, Oyo also validated the project design. A radio programme where Onelife Initiative featured and had bulk of the callers from Kajola Local Government insisting that FGM prevents promiscuity also validated the idea. The project was designed to train champions in 3 of the communities with the highest prevalence of FGM after baseline studies have been conducted at the project sites. Kajola, Oyo West and Ogbomoso South were chosen as project sites. In addition to this, the market media approach was also adopted. Pre-recorded messages providing information about FGM and answering Frequently Asked Questions were addressed. 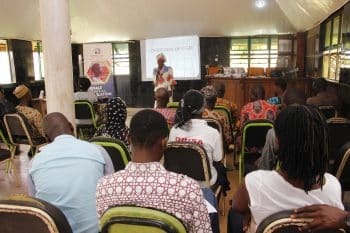 To ensure implementation, the project also had an activity plan to write letters to leading religious leaders in Oyo state and federal parliamentarians as well. Oyo State, according to the NDHS has a prevalence of 65.5% while the MICS puts its prevalence at 69.7%. Improve the quality of sexual and reproductive health of residents of the 3 LGAs with the highest FGM prevalence in Oyo State using 60 community champions, traditional and broadcast media across 10 LGAs and 200 community influencers. New knowledge on the dimensions of FGM in rural communities were uncovered through baseline surveys in the 3 LGAs. 74 community champions received knowledge to influence contributing to the End of FGM in their communities. 33 LGA chairmen had increased knowledge about FGM prevalence in Oyo state and what they can do to intervene. 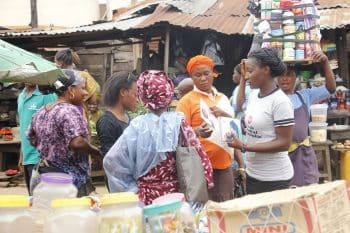 1,000 booklets and other souvenirs distributed led to increased sensitization by over 3,000 people on the ills of FGM and addressed their frequently asked questions in 17 Markets across 14 LGAs.